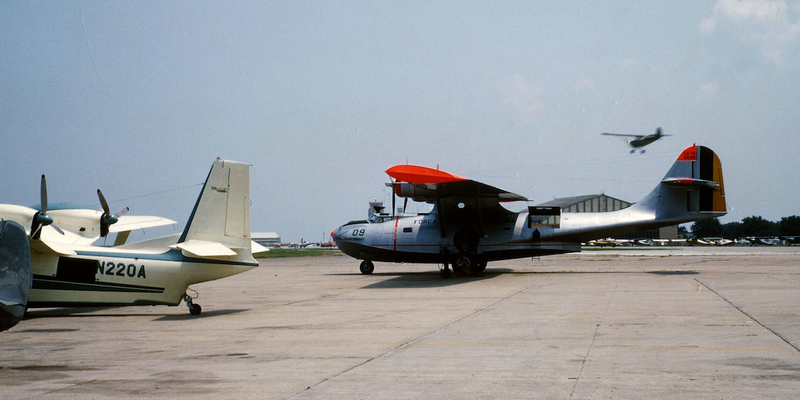 The photo of the PBY-5A and the Piaggio P.136L-1 was taken at New Orleans Lakefront Airport in front of the Pan-Air hangar. I used to work there and in both the hangars in the background. Very interesting! Thanks for the comment!!! 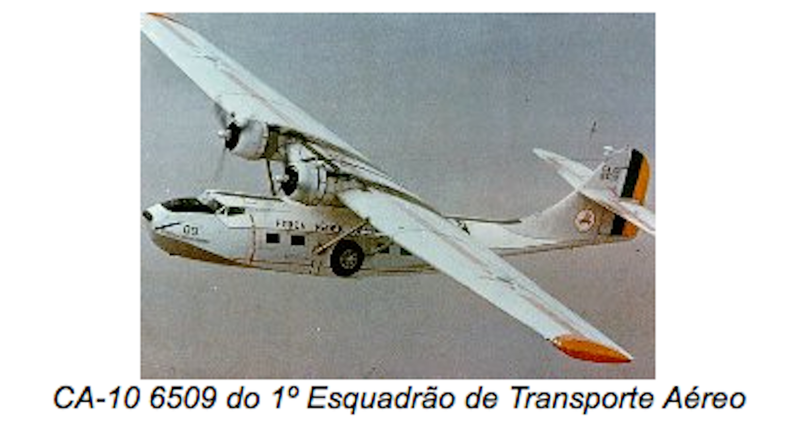 I meant to add, the Piaggio was owned by ESSO (EXXON) who traded it in for a Beaver on floats then got away from owning their own airplanes in the area. 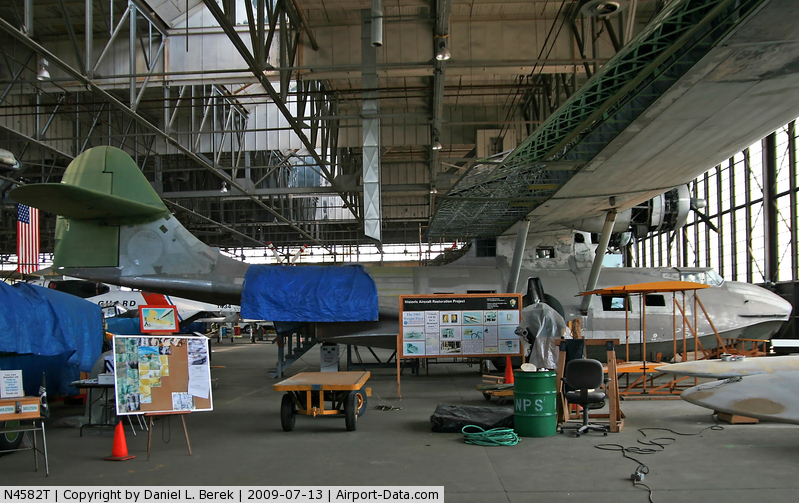 The hangar behind the tail of the Piaggio was the Jimmie Wedell Hangar that my Dad flew out of, the one peeking over the PBY was the Aero Hangar that I eventually worked out of along with the Pan-Air Hangar (all 3 of them were victims of Hurricane Katrina and torn down). Thanks, again, Bill! Great info. So what years were you and your dad using or working at that field? 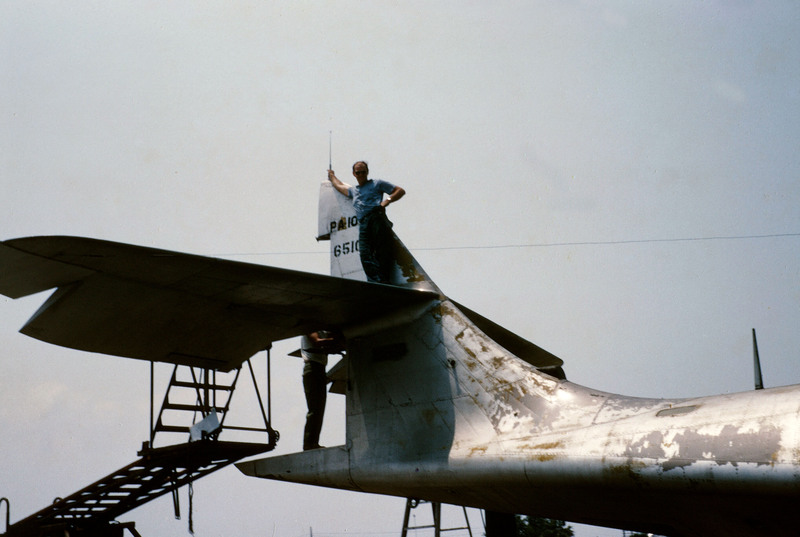 My Dad worked out of the Wedell Hangar from the Summer of 1957 to Jan. 1962 when he retired. I worked at Pan-Air and Aero (owned by Pan-Air) on and off through the 70s. I worked a lot in the oil and offshore marine fields and when one company would slow down and lay people off I’d go back to the airport until the next oil patch or boat job came along. Bill, your dad may well have met my dad! Also, we knew many folks who worked the oil rigs. One time, in about 1965, I guess, my dad was doing some engine flight testing for Lycoming, and crashed his Piper Cub on the shoreline of Timbalier Island, Louisiana. He was badly injured, but, luckily for him, a helicopter taking supplies to an oil rig saw his plane go down. They picked him up and flew him to a hospital. He may have,if you don’t mind, what was his name ? You can reply direct to my email if you want. Hey, Bill. What’s your email address? Bill’s email address removed from public view. Email coming to you now, Bill! Bill, that email I sent to you seems to have bounced for some reason. I’ll check this blog when I get done with work today to see whether you reply with a different email address. Bill’s email address hidden from public view.